Once the Iron Butterfly’s hull dipped through the Acid Rat’s magnetic seal over the cargo bay, June let Tootsie land the ship and breathed a sigh of relief. June gave him half a smile. Her body ached. She had anticipated Mike would attack her first, but she had no idea he would do so with such ferocity. It had taken every ounce of her strength to keep him off and when Joey had climbed on top, Mike’s fangs dipped within inches of her chest. She would have been dead long before the venom had a chance to do its evil work. Joey visibly relaxed and the Iron Butterfly settled down in the same location where it had taken off from. June waited. She had thought the doors would be closed right away, but that wasn’t happening. June looked up. Indeed the doors were closing. Slowly. June would relax when she was certain that Vic wasn’t hurt. Joey suddenly looked ready to leave the ship. She’d told him that nothing existed between her and Vic, that she looked to him like a big brother, but Joey only wanted to sulk, but with a little less aggressiveness to his sulking. June found his jealousy cute, but she would have to deal with him later. Once the doors were closed and the cockpit cover opened, June bounded out. Her arm and ribs screamed at her for doing so. Mike had punched her several times. She’d need to get checked out once this was all over. A flash of green escaped from the weapons room and flew up the ladder from the cargo bay. Dexter must have known something. June rushed up the ladder as quickly as she could, her arm protesting all the way. At the top Dexter had Vic over his shoulder as he escorted the incapacitated captain into the lounge. Argmon barked something from the cockpit. “What?” June had never really learned enough about Argmon’s nuances of speech. She listened more intently the second time. He said something about police and approaching. “Glad…to…see…you’re…back,” something said. June didn’t recognize the voice and instinctively reached for a blaster that wasn’t there. Argmon barked back something. June assumed it meant agreement. Joey buckled himself in as did Joop-Nop. His body no longer slime, he must require the dampening field now. The Iron Butterfly. If Mike had stowed away on the cruiser, it must be there. June grabbed at her seat belt, but Joey reached for her. Too much was happening at the same time. June wanted to deal with one thing, be it Vic, or Mike, or Mike’s boss, or getting away from the police. Just one thing. But since she couldn’t deal with any of those, she may as deal with Joey. She smiled at him. Joey’s boyish grin was infections. June smiled back, but resisted the urge to kiss him again. “I don’t want to hear excuses. I want the tractor beam locked on them and I want it now!” B.T. Justice fumed. They had lost the SS Acid Rat, or its decoy, and found it again, then lost it again. But they had the other ship. The one that Justice was certain hid the SS Acid Rat’s identity. Justice heard the collective gasp from those on board the renegade ship as it slipped into hyperspace. Gone. Just like that the crew of the SS Acid Rat slid through his fingers again. Justice’s scowl darkened the longer he glared at the star field on the screen, now absent of the ship they were looking for. How could he have such an incompetent crew? The Munchkada system sat near a black hole system. Could it be that the captain of the SS Acid Rat felt so confident in his ability to navigate near such an anomaly that he fearlessly headed into the face of danger? B.T. Justice gripped his riding crop with both hands and snapped it in half. “Set course!” Justice’s veins protruded from his reddened face. The officer turned back to his console and plotted the course that would take the Apprehension dangerously close to the two black holes. The gravitational forces between the two stars could easily tear apart a planet. What would it do to a ship? It didn’t matter. Whatever would occur would happen to the SS Acid Rat first. B.T. Justice snorted a small laugh. He wanted to be there when the ship was torn apart. He had to be there. 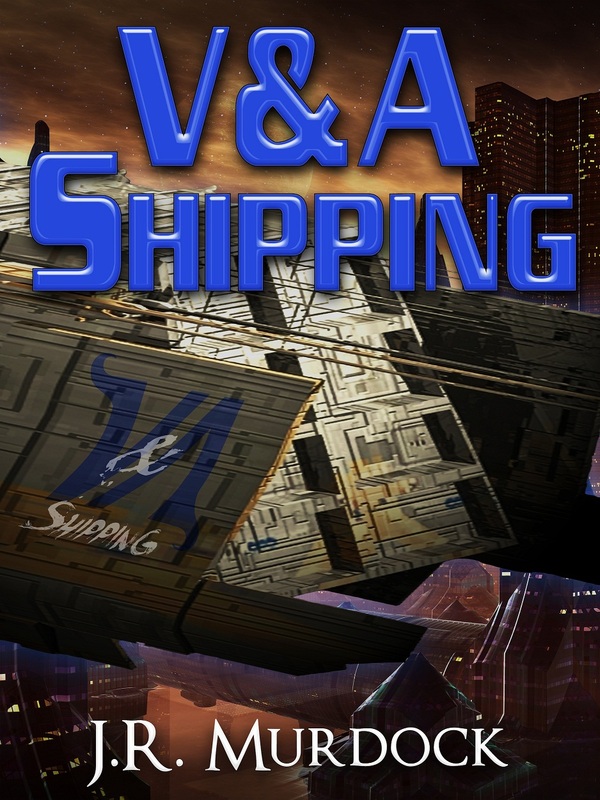 Posted on March 4, 2013, in V&A Shipping and tagged chapter, read along, v&A shipping. Bookmark the permalink. Leave a comment.